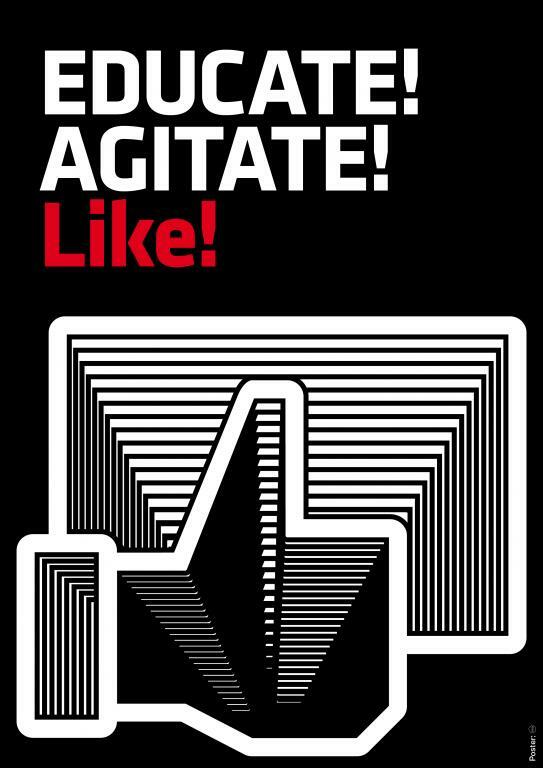 So importantly you can now Like individual articles on libcom.org on Facebook. Liking an article shares it to your timeline, which can increase traffic, and also provide feedback to the author and contributor of the article so they know it was appreciated. So if you like an article, please Like it! On privacy note, don't worry your Facebook/twitter/Google plus accounts are not linked to your libcom account in any way by this function. On a dorky note, it also means you can see which articles have been most shared on social networking sites. And we would like to know which has been the most popular. The most popular one we have seen so far is the Loukanikos riot dog photo gallery with over 1800 Facebook likes. Does anything beat that? Italy: NO TAV against fascism! About this, I was wondering if we should change it from "Like" to "recommend". On the plus side, I think people would be more likely to Recommend articles about things which weren't nice, like a massacre or what have you. Because they would recommend the article rather than be seen to be Liking the event. However, recommend seems like a more active commitment to something, whereas most people are very used to randomly Liking various stuff. What do people reckon? In this article, which was written close to the end of the cold war, Noam Chomsky argues against the association of socialism with Bolshevism. Please don't un-like it for that reason! I noticed that when I posted it to the libcom Facebook page as well, it's weird I don't know why did that but I can't do anything about it. I found out that articles must have description meta tag or else Facebook looks for first <p>aragraph with at least 120 chars. Facebook caches descriptions and re-scrapes every 24 hours or when triggered by entering the URL on a debug page. I don't think you're using description meta tags, I can also see that when sharing an article with a short introduction paragraph, the next longer paragraph is used. When the introduction is long, that's used. Anyway.... hope this is useful information! And FYI, I realised that when you share an article manually on FB, you can edit the header or description by double clicking them. Wow, that's useful stuff, thanks. Especially that you can edit the header or description, I never knew that!